JNIPort for Pharo 3.0 alpha is now available at SmalltalkHub. undocumented and obscure parts in NativeBoost, so this has taken some time. they appear in the ConfigurationOfJNIPort. two jar files from there. “Uncomment the following if you want the Java VM to emit verbose messages. How to access these messages depends on your platform. Cursor execute showWhile: [JVM newWithSettings: jvmSettings]. zfClass := JVM current findClass: #’java.util.zip.ZipFile’. zipfile := zfClass new_String: ‘JNIPort.jar’. entries asAnEnumeration do: [:each | Transcript cr; print: each]. performance, please send me a message. Jannik laval announced the new web site for Phratch. Here is the announce. Thanks to the support of ESUG, it is possible to make visible this wonderful project. – installation files, there is a portable version for Windows, Linux, MacOS. 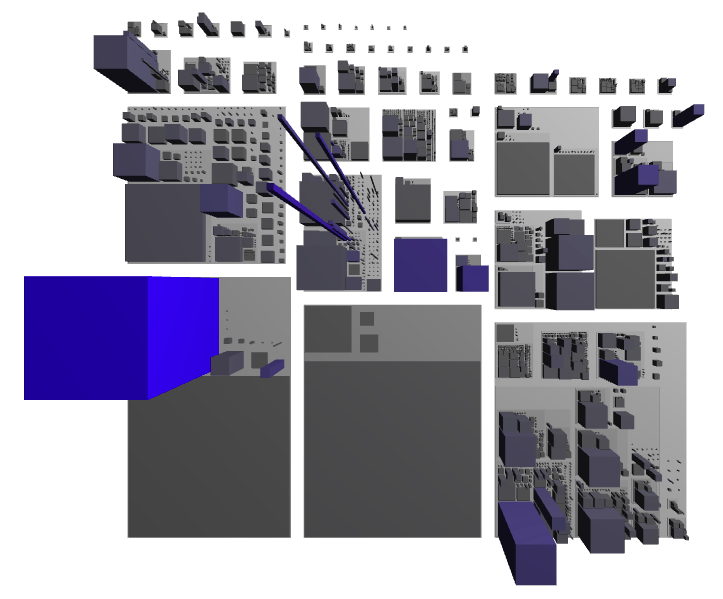 – block documentation: generated from a Phratch image ! Why this number ? Why a third version in one year of work ? It is clear that a lot of work is already done. Each version represents strong changes in the architecture. – version 1.0 is the port of Scratch + BYOB + Panther in Pharo. It is working but not extendable. – version 2.0 makes Phratch really extendable. We can develop our own block for everything in Pharo. I also make Phratch more modular with the use of Pragmas for some menus, declaration of blocks… It is available only in Pharo 3.0. There are some languages available, I hope more people can translate in other languages (http://www.phratch.com/archives/612). – version 3.0 is the version in development. What is new here: Before this version Phratch was really slow. I am cleaning the code, and now it begins to be fast, really fast ! We also begun to write tests. I am really happy to have the support of ESUG and Pharo. Thanks to the community to make Pharo as usable as it it, it makes our dreams possible. I just added a first version of timezone support to the ZTimestamp project – a small, lightweight, non-intrusive, self-dependent alternative to DateAndTime and friends. With this addition, it is now possible to work with UTC/GMT timestamps internally yet present correctly localised timestamps in any timezone, based on the standard Olsen database. ZTimestampFormat was extended with optional timezone support. ZTimestamp can be loaded most easily from the Pharo 2 or 3 Configuration Browser. I am ZTimezone, representing the timezone information in the standard Olsen database. ZTimezone zoneInfoLocation: FileLocator C / ‘foo’ / ‘bar’ / ‘zoneinfo’. (ZTimezone id: ‘Europe/Brussels’) subzoneForTimestamp: ZTimestamp now. (ZTimezone id: ‘Europe/Brussels’) offsetForTimestamp: DateAndTime now. The flow is that for every GMT timestamp, you get the concrete offset to use for a specific timezone. Note that this is not a constant, it depends on the time periode the timestamp falls in. (ZTimezone id: #’Europe/Brussels’) gmtToLocal: ZTimestamp now. (ZTimezone id: #’Europe/Brussels’) localToGmt: DateAndTime now. Also note the zoneTab and the timezones are cached in the image. When the TZ database changes, it might be necessary to either call #cleanUp or #reloadAll. When moving images between machines, either all info should be loaded and cached, or it might be necessary to use #zoneInfoLocation: again. A chronological array of transition points in unix time specifies which sub zone is active from that point on to the next. 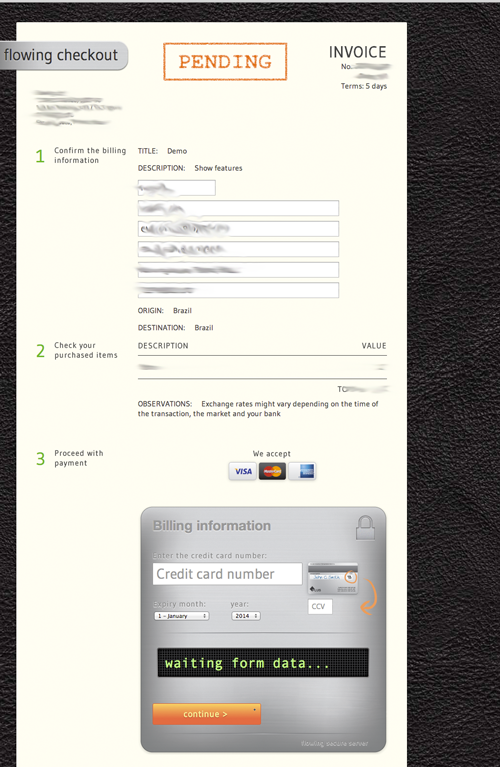 It is used in airflowing for his client, in flowing’s invoice system for the consulting services. We could authorise and capture on debit cards too but the gateway we’re using has debit only for brazilian cards and doesn’t provide the international debit feature (which seems to be kind of a big deal for vendors and banks). Contact Sebastian Sastre if you want to extend its API to your gateway. Gabriel Omar Cotelli announced today a new library for Pharo. I’m announcing the first official release of RenoirSt, a DSL enabling programmatic cascading style sheet generation for Pharo. or download a ready to use image from the Contribution CI Server ( a ConfigurationBrowser option comming soon). Visit the project page and GitHub repository for more information on the supported and planned features, and check-out the online tutorial. I hope you find it useful. Feel free to ask any questions, suggest ideas and improvements, or report bugs (the issue tracker is in GitHub). Attila Magyar announced today a new version of his excellent mock library. Here is the anounce. mock object library that supports test-driven development. This version has a new syntax which is incompatible with the old version. has access to the arguments of the incoming message. it has lot more pros than cons. Richard Wettel the original author of CodeCity (this was his PhD) announced today a new version of CodeCity in Pharo. After the short preview at the last Moose Dojo, I am happy to let you know that the first version of the brand new CodeCity is out. The new CodeCity does not provide a configuration UI, but it relies on scripting. While CodeCity was initially aimed at software systems only, there is nothing that stops us to use it at visualizing any kind of data! One example was the visualization of the data taken from a database (population, city, countries, continents) presented at the Moose Dojo. I’m sure Doru will be pleased to show you more of that. In conclusion, I hope you’ll enjoy playing/working with CodeCity as much as I have been enjoying re-implementing it in the last few months. Playing with CodeCity integrated in the Moose workflows is pure fun. But don’ take my word for it, just give it a try! Hernán Morales Durand announced a new fun library with which we can query wikipedia. If you want to contribute, just ask me and you will be added as contributor.